OAK 311 has received this issue. Your service request ID is #899106. Please check back for status updates, or contact us directly at 510-615-5566. Thank you for your request. According to our system, we already have an open service request of this kind at this location. Your request has been combined with service request #899079. If you would like to check the status of the request, please contact OAK 311 at 510-615-5566 or OAK311@oaklandnet.com. This issue can also be followed by watching http://seeclickfix.com/issues/5758511. OAK 311 has received this issue. Your service request ID is #899096. Please check back for status updates, or contact us directly at 510-615-5566. There is a real reason why there is no stop sign in the uphill direction. It would be too dangerous for those cars. That road is on too steep a slope and would be highly dangerous for cars to routinely stop there. Our community does not want a stop sign on the up hill for safety. Do not put it there or there will be dangerous consequences. There is no problem here! Yes you have to stop downhill - That's fine because people speed, You need to stop uphill - only if there are pedestrians [ Its fine it does not need to be a four way stop! Are you a traffic Engineer? There are so many other important problems-this is not it! The initial statement is wrong. There are three stop signs. Only uphill has no stop. That one will be too dangerous to implement. 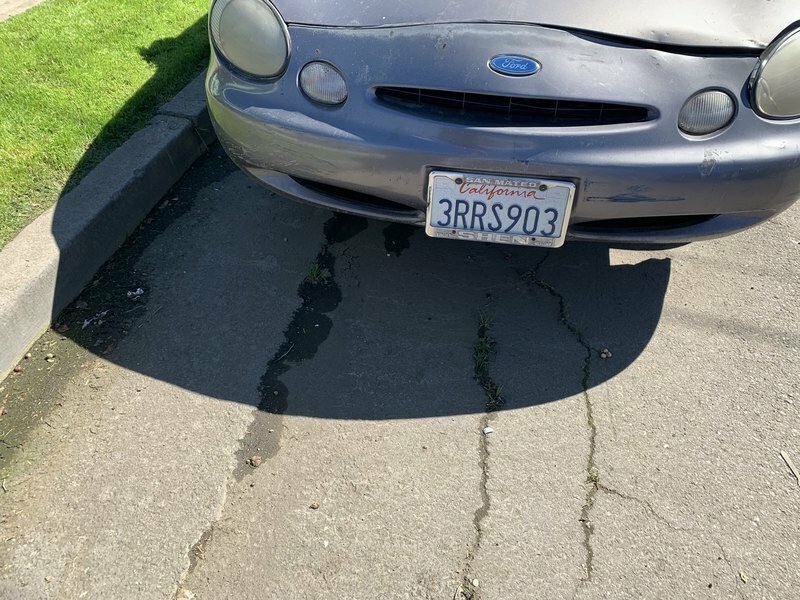 This vehicle has sat abandoned for over 5 weeks, yet hasn't been towed. It now has people living inside of it, trash around it because street sweeping can't clean the street around it, and it's a public eyesore. Also, it attracts other crime and other types of illegal dumping. It needs to be towed NOW. OAK 311 has received this issue. Your service request ID is #899119. Please check back for status updates, or contact us directly at 510-615-5566. Black Chevy 4 door SUV. One wheel missing. Suspended by a jack. OAK 311 has received this issue. Your service request ID is #897615. Please check back for status updates, or contact us directly at 510-615-5566. This vehicle is parked on Fisher with the cross street being MacArthur. The silver Nissan Xterra has actually been there since January of this year. But I've noticed that the past few weeks, the vehicle has not been moved. I don't know what street sweeping is doing about it but the car has not moved from this spot in the past few weeks. OAK 311 has received this issue. Your service request ID is #897575. Please check back for status updates, or contact us directly at 510-615-5566. A couple of stolen shopping carts FULL of trash left in the street. OAK 311 has received this issue. Your service request ID is #899079. Please check back for status updates, or contact us directly at 510-615-5566. Great more stolen shopping carts off to the landfill. Last I saw an individual (possibly homeless) moved the shopping carts over to the new apartments on Hollis and Peralta. It was getting dark and I didn’t get a good look at the person or what they were doing or where else they were headed. OPD will do nothing. These street people have nothing. They cannot and will not pay any citations even if they were written. OPD and the local judicial system know this. The free ride at the taxpayers expense continue and you can thank Prop 47. OAK 311 has received this issue. Your service request ID is #883384. Please check back for status updates, or contact us directly at 510-615-5566. 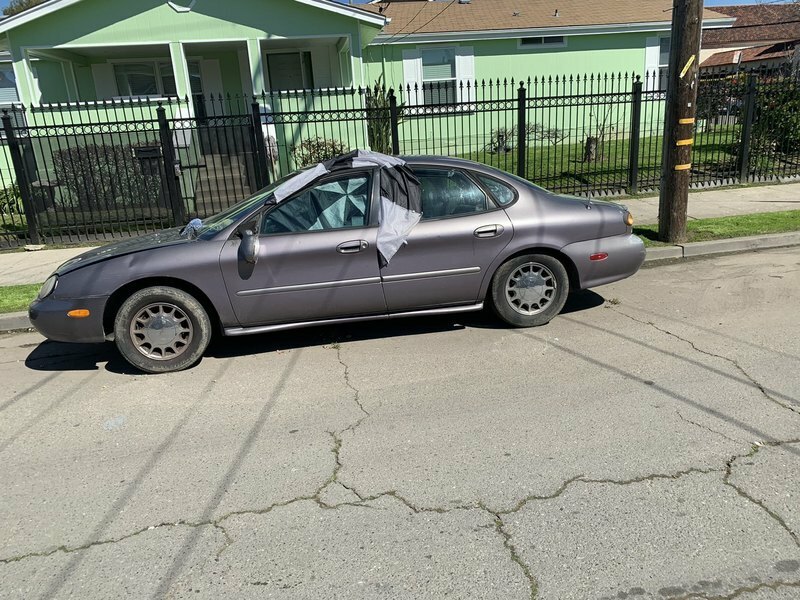 The City of Oakland addressed this issue on 04/25/2019, service request #883384. OAK 311 has received this issue. Your service request ID is #897346. Please check back for status updates, or contact us directly at 510-615-5566.